IDW Entertainment (“IDWE”) and Ideate Media announced today they have optioned the worldwide rights to Douglas Adams’ Dirk Gently’s Holistic Detective Agency novels.IDWE and Ideate have formed a partnership to co-fund development and co-produce with the intent of securing a direct-to-series commitment. Circle of Confusion will Executive Produce. Max Landis has been tapped to write the pilot and Executive Produce. Max is the writer of feature films Chronicle, upcoming American Ultrastarring Kirsten Stewart & Jesse Eisenberg, and upcoming Frankensteinstarring Daniel Radcliffe and James McAvoy. Max will also make his directorial debut with the comedy Me, Him, Her starring Haley Joel Osment and Geena Davis in 2015. After creating the phenomenon that was The Hitchhikers’ Guide to the Galaxy, Douglas Adams went on to write a series of best-selling novels about Dirk Gently, a detective with a belief in the fundamental interconnectedness of all things, a unique relationship with the laws of probability and physics, and a love of cats and pizza. Dirk Gently is a charismatic, mysterious, troubled, brilliant, figure – cursed with a relentless intellect, psychic powers he doesn’t fully understand or want, a gift for self-mythologizing, and a supernatural ability to detect disturbances in the fabric of reality, Dirk has found a strange calling as a private detective for impossible crimes. Ted Adams and David Ozer from IDW Entertainment, Arvind Ethan David and Zainir Aminullah of Ideate, and David Alpert and Rick Jacobs from Circle of Confusion (The Walking Dead) will serve as executive producers. “Max is one of Hollywood’s most brilliant writers and represents the ideal voice in bringing Dirk Gently to television”, said David Ozer, President of IDW Entertainment. Arvind Ethan David, Head of Production and Development at Ideate Media, was a friend and protégé of Douglas Adams and brokered the deal with the estate. He commented: “As a student at Oxford, I directed and co-wrote a theatre adaptation of Dirk Gently. To my amazement, Douglas himself came to see the show – and he liked it and helped launch my career. Almost 20 years later, to return to Dirk, and to add the mad genius of Max Landis to the mad genius of Douglas Adams, is a dream come true and proof of what Douglas, (and Dirk), would describe as ‘the fundamental interconnectedness of all things’”. In addition to the television series, IDW Publishing & Ideate Media will develop a series of Dirk Gentlycomic books for release next spring. “Douglas Adams himself always maintained that his Dirk Gently novels had much greater dramatic potential than his better known Hitchhiker’s Guide to the Galaxy series. I think he is about to be proven right — yet again”, said Ed Victor, Douglas Adams’ long time agent and friend. Option negotiated through Ed Victor at Ed Victor Ltd and CAA. 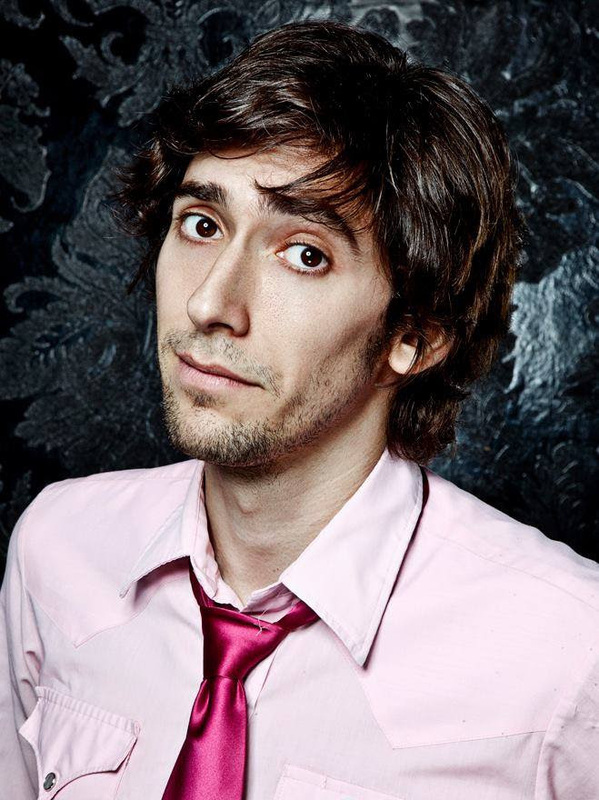 Max Landis is represented by WME, Behr Abramson Levy, and Circle of Confusion. Ideate Media was established in April 2013 by Khazanah Nasional Berhad (the strategic investment arm of the Government of Malaysia) and Astro Overseas Limited (the international division of Malaysia’s leading integrated media entertainment group). Our mission is to develop, produce and commercialize high quality content for global audiences, working across multiple formats and genres. Ideate develops and seeks out stories, talent and properties suitable to engage global audiences, especially, though not exclusively, stories with Asian elements, settings and themes. Ideate’s first production is Bubble Bath Bay – a 52 X 11 min children’s animated television series, commissioned by the Australian Broadcasting Corporation and launched at MipCom. Ideate Media is headquartered in Technology Park Malaysia in Kuala Lumpur, under the leadership of CEO Zainir Aminulah; the US operations are headed by Arvind Ethan David. IDW Entertainment launched in November 2013 to fund and develop film and television properties based on IDW’s extensive catalog. The division is currently in development on a slate of properties including Chuck Dixon’s epic Winterworld, being developed with Xbox; V Wars by New York Times best-seller Jonathan Maberry with writer/executive producer Tim Schlattman (Dexter, Smallville); action packed comic series Pantheon with co-creator Michael Chiklis (The Shield); Life Undead, with showrunner Paul Zbyszewski (S.H.I.E.L.D., Hawaii Five-O, Lost); and Brooklyn Animal Control, based on the darkly thrilling comic from writer/director J.T. Petty (Splinter Cell, Hellbenders). IDW also has several active theatrical projects in development: Lore, at Warner Bros. with Dwayne “The Rock” Johnson set to star; World War Robot, with Jerry Bruckheimer producing at Disney and Jon Spaihts writing the screenplay; and Zombies vs. Robots, at Sony with Platinum Dunes and Circle of Confusion producing.